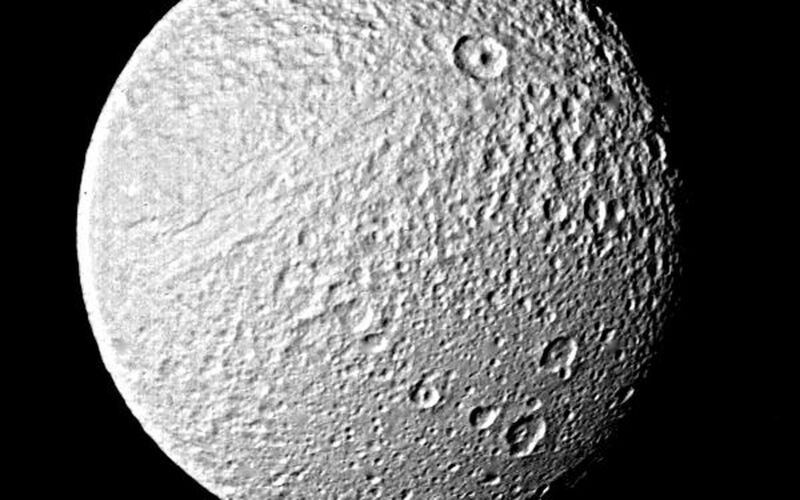 This Voyager 2 photograph of Tethys shows objects about 5 kilometers (3 miles) in size and is one of the best images of the Saturnian satellite returned by the spacecraft or its predecessor, Voyager 1. Voyager 2 obtained this picture Aug. 26 from a range of 282,000 kilometers (175,000 miles). It has been specially processed by computer to bring out fine detail on the surface. 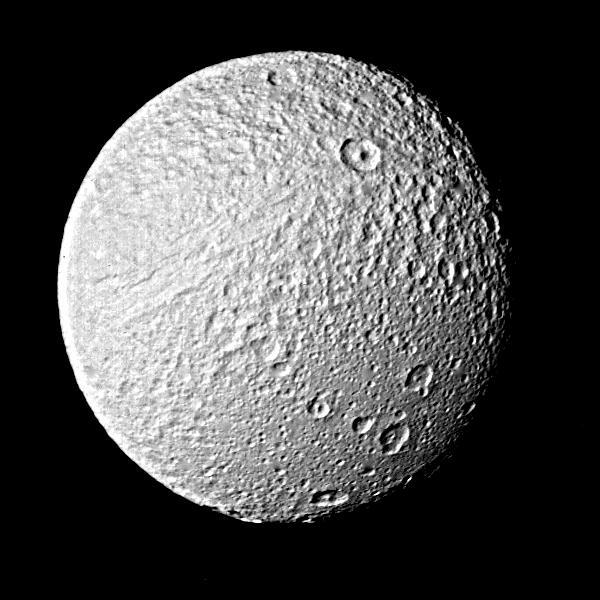 A boundary between heavily cratered regions (top right) and more lightly cratered areas (bottom right) is very similar to boundaries on the moons Dione and Rhea, indicating a period of internal activity early in Tethys' history that partially resurfaced the older terrain. 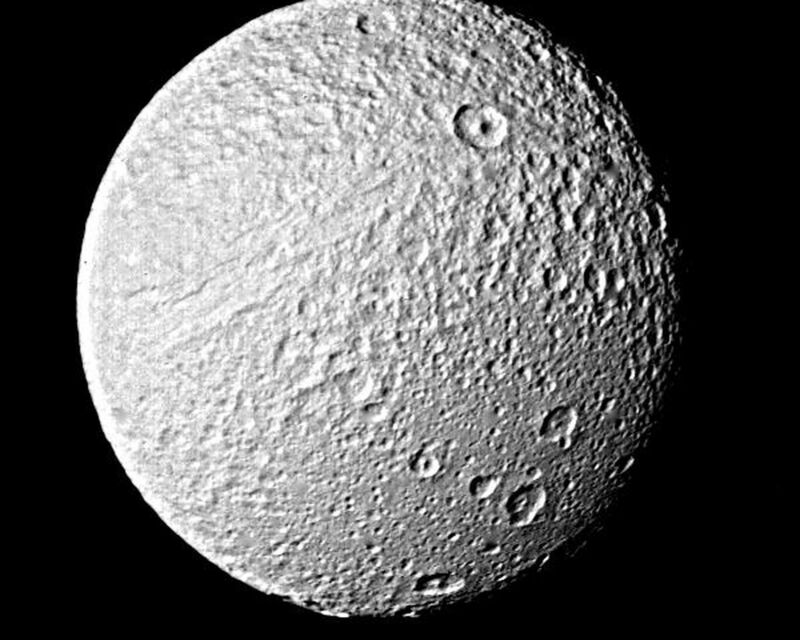 The large crater in the upper right lies almost on the huge trench system that girdles nearly three-fourths of the circumference of the satellite. The trench itself is seen in this image as a linear set of markings to the lower left of the crater. The trench, several kilometers deep, is indicative of a cold, stiff ice crust at the time of its formation. 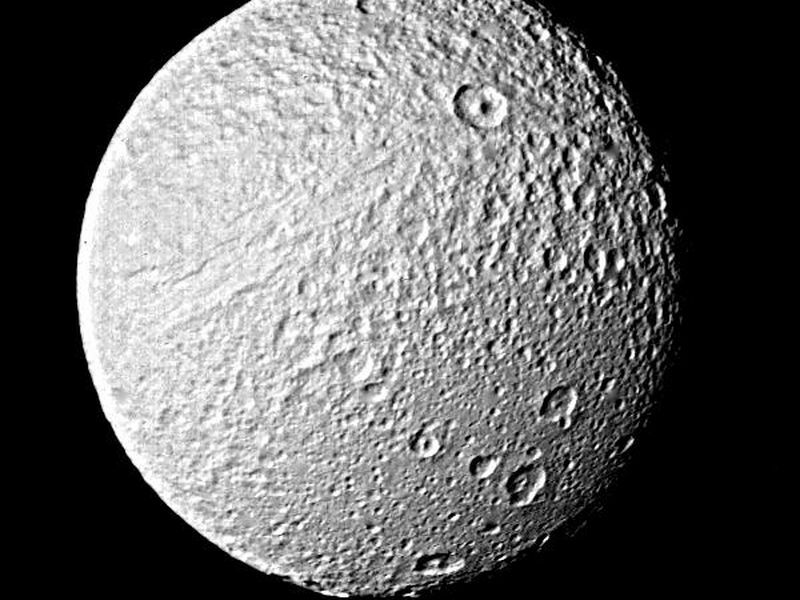 Formation of this trench system could have resulted from the expansion of Tethys as its warm interior froze. The Voyager project is managed for NASA by the Jet Propulsion Laboratory, Pasadena, Calif.